Overactive bladder (OAB), an under-diagnosed and under-treated condition, is a symptom complex characterized by urinary urgency, with or without urinary incontinence. Although antimuscarinic agents are the established first-line pharmacological treatment, insufficient efficacy, resistance and adverse effects such as dry mouth, constipation and dysuria have created the need for better drugs. Mirabegron, an oral beta-3-adrenergic agonist and first in a new class of drugs, has been recently approved by the US Food and Drug Administration to treat adults with OAB with symptoms of urge urinary incontinence, urgency and urinary frequency. By relaxing the detrusor muscle during the filling phase, mirabegron increases the storage capacity of the bladder and lengthens the interval between voiding. It does not affect bladder contraction or residual urine volume. In clinical trials, mirabegron significantly reduced the mean number of daily incontinence episodes as well as the mean number of micturitions per 24 h as compared with placebo. The most common side-effects are nasopharyngitis, urinary tract infections and headache. By exploiting a novel target, mirabegron represents a new therapeutic approach to OAB treatment with a distinct mechanism of action and gives a new hope to patients with significantly impaired quality of life due to OAB who are unable to tolerate antimuscarinic agents and who show insufficient effect from antimuscarinics. Nowadays, ophthalmologists are facing a new group of patients having eye problems related to prolonged and excessive computer use. When the demand for near work exceeds the normal ability of the eye to perform the job comfortably, one develops discomfort and prolonged exposure, which leads to a cascade of reactions that can be put together as computer vision syndrome (CVS). In India, the computer-using population is more than 40 million, and 80% have discomfort due to CVS. Eye strain, headache, blurring of vision and dryness are the most common symptoms. Workstation modification, voluntary blinking, adjustment of the brightness of screen and breaks in between can reduce CVS. Neurofibromatosis (NF) belongs to the group of phakomatoses characterized by benign tumors of peripheral nerves seen either due to spontaneous new mutations or due to genetic inheritance. It affects 1:2500-3000 individuals. 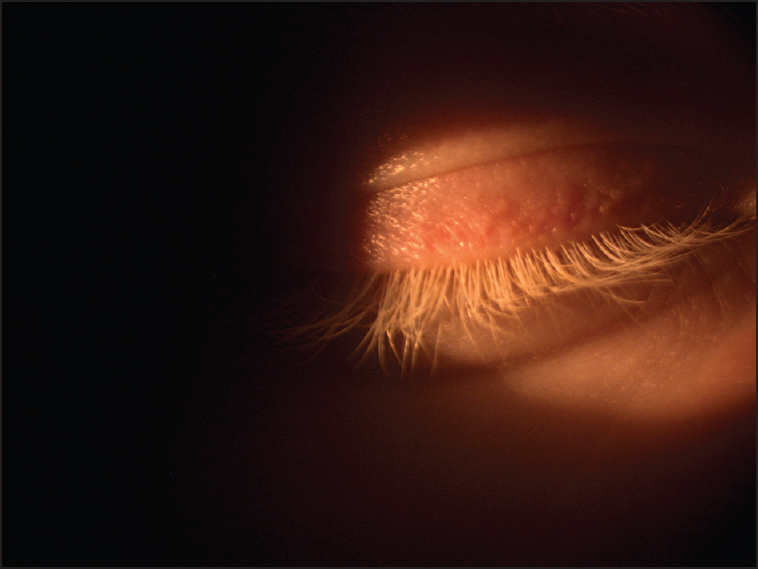 These tumors are known as neurofibromas and can be localized, the diffuse or plexiform type. There are at least eight subtypes of NF (NF-1-NF-8). Among these, von Recklinghausen's disease (NF-1), NF with bilateral acoustic schwannomas (NF-2) and segmental NF important both clinically and radiologically. 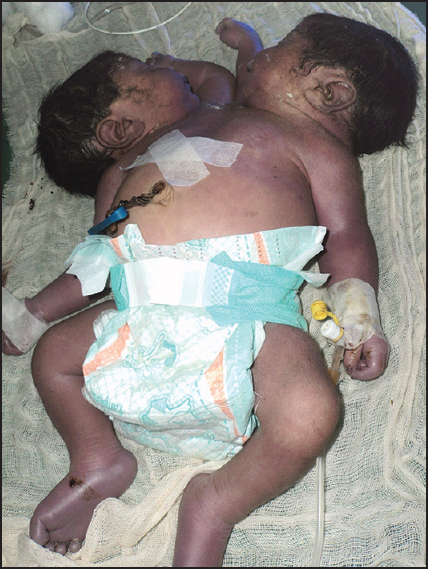 Introduction: Neonatal septicemia is a major cause of mortality and morbidity. Surviving neonates can have significant neurologic sequelae, septic shock or hypoxemia. The spectrum of bacteria that cause neonatal septicemia varies in different parts of the world. The management of these infections is being complicated by the emergence of antibiotic resistance. The aim of this study was to determine the etiology, clinical characteristics and outcome of neonatal septicemia cases. Materials and Methods: During a 1-year study, 257 clinically suspected cases of neonatal sepsis were enrolled and classified as early onset septicemia (EOS) and late onset septicemia (LOS) based on appearance of signs and symptoms, i.e. within or after 72 h, respectively. Blood culture was performed using BACTEC 9240, isolates were identified by standard techniques and antibiotic susceptibility was performed as per the CLSI guidelines. Risk factors associated with neonatal sepsis were recorded and analyzed with respect to culture-proven sepsis. Results: In both suspected and culture-proven sepsis cases, majority of the neonates were male, pre-term and low birth weight babies. The prevalence of EOS and LOS was 82.4% and 17.5%, respectively. Culture positivity was seen in 7.8% of the cases. 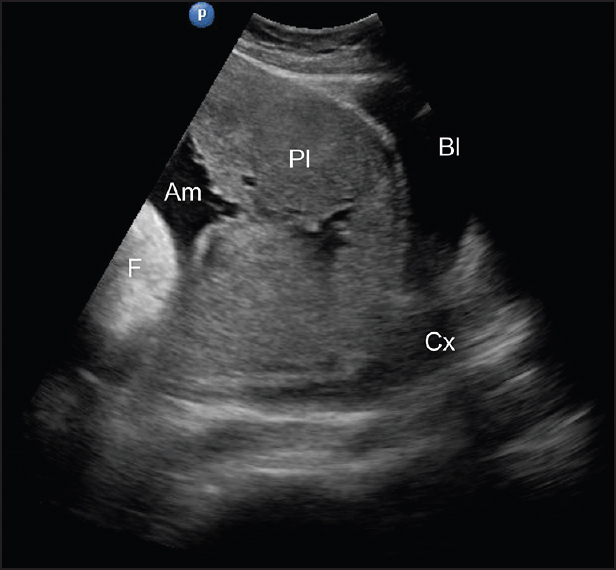 In culture-proven septicemia, 55% neonates presented with EOS and 45% presented with LOS. Gram positive isolates were more as compared with Gram negative isolates. The most common isolates were S. aureus, S. epidermidis and E. coli. All Gram positive isolates were sensitive to vancomycin and linezolid, while carbapenems and polymyxin B were the most effective drugs in the Gram negative isolates. Mortality was higher in LOS as compared with EOS cases, and the difference was statistically significant. Conclusion: Gram positive pathogens were predominant in septicemia. 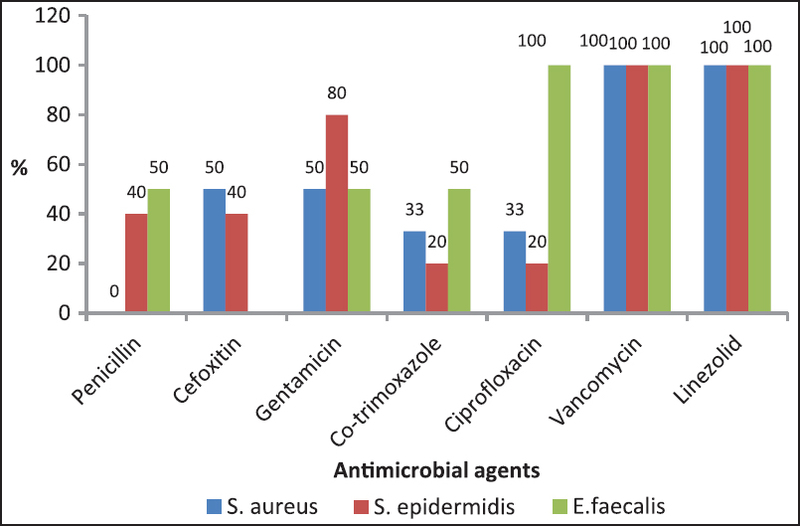 Vancomycin and linezolid were the most effective antibiotics for Gram positive isolates and carbapenems for most effective Gram negative organisms. Background: Heart disease (HD) is the major cause of early morbidity and mortality in most developed countries. Secondary prevention aims to prevent repeat cardiac events and death in people with established HD. Lifestyle modifications play an important role in secondary prevention. Yoga has been regarded as a kind of physical activity as well as stress management strategy. Growing evidence suggests the beneficial effects of yoga on various ailments. The aim was to develop a validated Integrated Yoga Module (IYM) for HD. 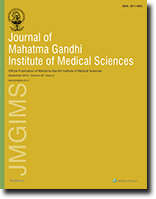 Materials and Methods: The content validity of IYM for HD was assessed by a panel of 40 yoga experts. The IYM protocol was developed in the form of a tailor-made yoga practices that were supported by classical texts and research evidence. Each item in the questionnaire was discussed and rated as (i) not essential, (ii) useful, but not essential, (iii) essential and the content validity ratio (CVR) was calculated using the formula developed by Lawshe. Results: The data analysis showed that out of 39 IYM practices, 32 indicated significant content validity (cut off value 0.29 as calculated by applying Lawshe's formula for CVR). Conclusion: The IYM for HD suggests good validation for managing HD. Clinical trials are needed before any recommendation can be made. Background: Overall neurocysticercosis (NCC) is identified as a major cause of active epilepsy in the developing world. Most of the studies focus on adults with limited studies in children. A pilot study from Garhwal region of Uttarakhand had reported a high incidence. Conflicting reports regarding the clinical presentation and response of cysticidal drugs have created a controversy regarding disease and outcome. This prospective observational study in Kumaon region of Uttarakhand aims to study clinical features, sociodemographic profile, radiological findings and response to 28 days albendazole therapy in children with NCC. 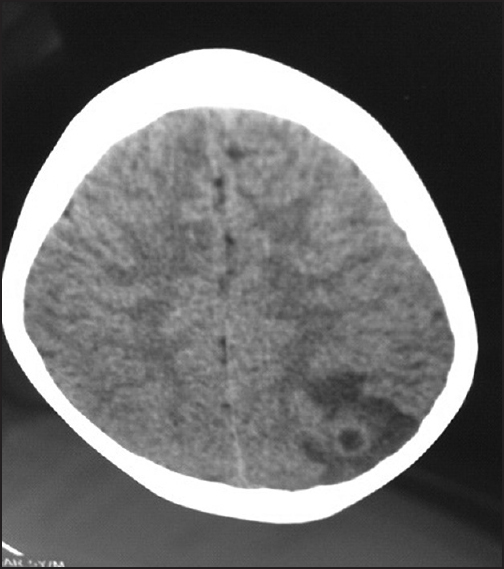 Materials and Methods: Seventy nine patients with various neurological complaints, were diagnosed to have NCC on basis of computed tomography scan head. Other differential diagnoses were excluded by chest X-ray, Mantoux, erythrocyte sedimentation rate and magnetic resonance imaging where needed. The clinical, sociodemographic profile was recorded, and radiological and clinical response at 3 months after 28 days albendazole therapy was observed. Results: Seizures (93.9%) followed by vomiting (62%) and headache (30.4%) were the chief complaints. Complex partial seizures (70.3%) and generalized (17.6%) were the main seizure type. Most NCC were single (72.2%) out of which 26.3% disappeared on follow-up, 17.7% were multiple out of which 7% resolved and eight were calcified of which all persisted. Electroencephalography was abnormal in 62% patients. Conclusion: NCC in children is a relatively benign disease in Kumaon region with significant morbidity in the form of epilepsy with no mortality. Better prognosis was seen in single NCC in comparison to multiple or calcified lesions, but response to albendazole therapy was much less than in previous studies. Introduction: Mesenteric vein thrombosis (MVT) is uncommon. This emergency is rarely diagnosed early. High degree of suspicion is needed for diagnosis. 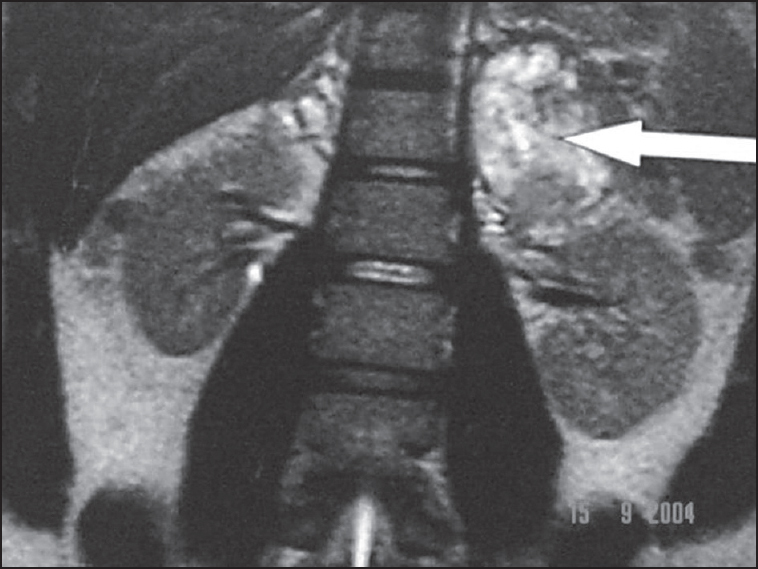 Materials and Methods: Cases of pain abdomen, where the diagnosis of MVT was established either at laparotomy or by imaging were included retrospectively December 2004 to November 2010. Results: There were 16 cases with age range from 16 years to 51 years (median: 32 years). There were 13 males and 3 females. Six were diagnosed before bowel gangrene and could be managed with anti-coagulation alone. 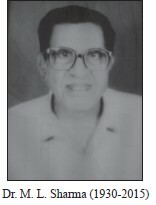 Ten of them had features of gangrenous bowel required bowel resection. After the resection, four underwent end to end anastomosis (one died, three leaked). Six had side to side anastomosis with 8-10 cm blind pouch on either end, were done to avoid ischemic transition zone anastomosis, and the abdomen was kept open with a transparent sheet cover to make it a continuous look laparostomy. The prothrombotic cause could be identified in eleven of the 13 cases tested. All are on oral anti-coagulant. One male became father after 12 years of marriage within 1-year of anti-coagulation. Conclusion: Mesenteric vascular thrombosis poses a diagnostic dilemma. Early anti-coagulation can avoid surgery. Gangrenous bowel resection with side to side anastomosis and continuous look laparostomy avoid multiple laparotomy. 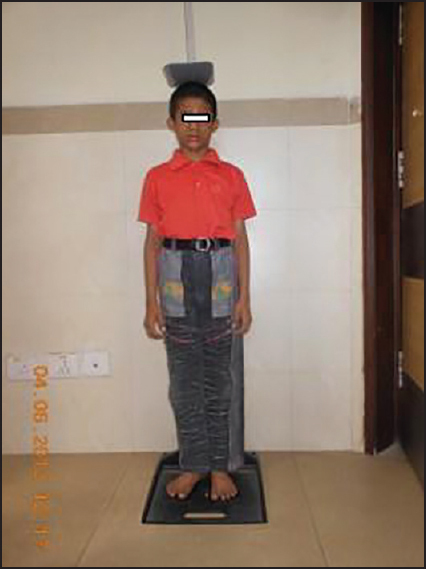 A 13-year-old boy presented to our hospital with clinical complaint of lump in knee joint and associated pain for 6 years. 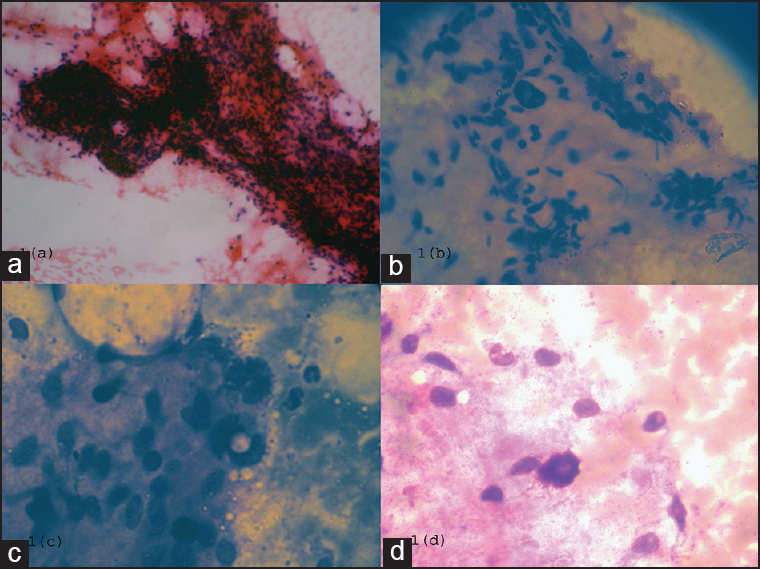 Fine-needle aspiration cytology was done and cytology smears showed biphasic pattern composed of spindle cells, epithelial elements, and numerous mast cells. Hence, it was reported as synovial sarcoma and histopathology was advised. Lump was excised successfully. Histopathological sections showed numerous capillary sized blood vessels, cavernous blood vessels, thick walled blood vessels present between skeletal muscle, and adipose tissue. Hence, the diagnosis of intramuscular haemangioma was made. Follow-up was done for 1 year. No recurrence or complications were seen. Mortality and morbidity in parturients with abnormal placentation like grade III and IV of placenta previa, placenta accreta, placenta increta and placenta percreta is very high. Ultrasonography can detect these conditions well in advance and proper planning for delivery can be made. Prophylactic placement of bilateral internal iliac artery balloon has been shown to reduce the blood loss during cesarean section, provide optimal surgical conditions, prevent cesarean hysterectomy on several occasions and in situations where hysterectomy is essential; this procedure has reduced the requirement of massive blood transfusion in the perioperative period. We report successful perioperative management of a parturient who had grade 4 placenta previa in whom prophylactic bilateral internal iliac artery balloon was placed under local anesthesia and the balloon was inflated after the delivery of the baby by lower segment cesarean section (LSCS). After the closure of uterus, the balloon was deflated. No perioperative blood transfusion was required. A 20-year-old male farmer with injury to the left hand, associated with weakness of the hand muscles and numbness, underwent ulnar and median nerve repair. 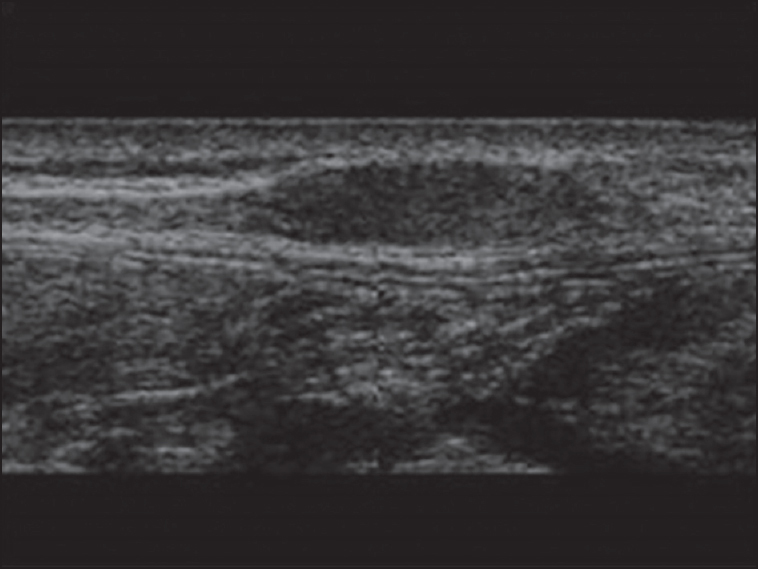 An ultrasonography after 3 months was performed due to persistent weakness and numbness after surgery, which showed mass in the median nerve for which the patient underwent excision of neuroma and sural nerve grafting. The patient again presented after 3 months with weakness and numbness, and a nerve conduction study showed non-functioning ulnar and median nerve. A re-exploration showed mass in the ulnar nerve, which on biopsy showed borderline tuberculoid leprosy. This case report reflects a case of pure neuritic leprosy that was missed due to trauma as it was in the early phase and could only be diagnosed at the 3 rd exploration of the hand. Vascular sequelae in the thorax because of tuberculosis (TB) involve the pulmonary as well as bronchial vasculature. 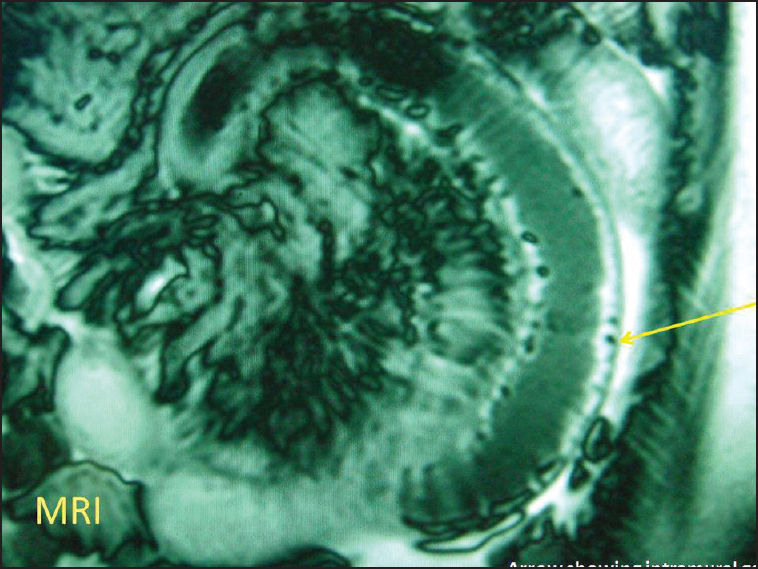 Tubercular empyema-associated pulmonary artery pseudoaneurysm is a sparsely reported clinical entity in the literature. 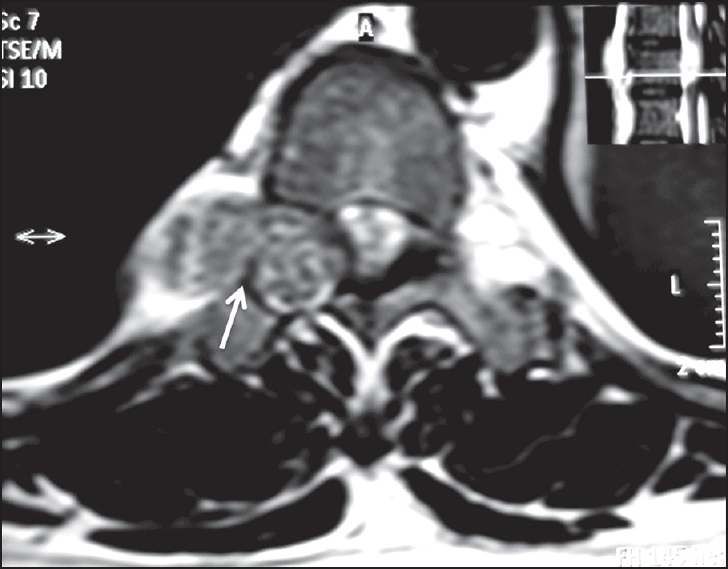 We report a rare case of pulmonary artery pseudoaneurysm associated with tubercular empyema in a patient. However, the patient died after intercostal drainage, because of massive hemoptysis followed by refractory shock, before any intervention could be done for the aneurysm. Lemierre's syndrome is a form of septic thrombophlebitis characterized by internal jugular vein thrombosis and septic emboli caused by Fusobacterium species which follows a spell of pharyngotonsillits. We highlight a case of 16 year old female, a known case of lupus nephritis presenting with Lemierre's syndrome. 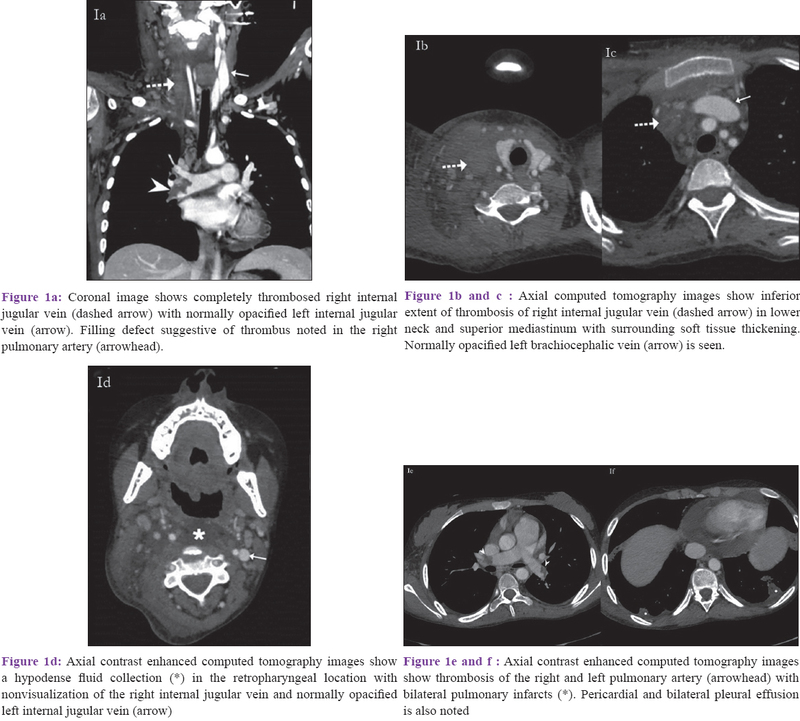 A brief review of imaging findings on various imaging modalities with an emphasis on classical computed tomographic features of the disease is presented. Gouty arthritis is a rare but serious complication of Septic arthritis and presents a diagnostic difficulty. 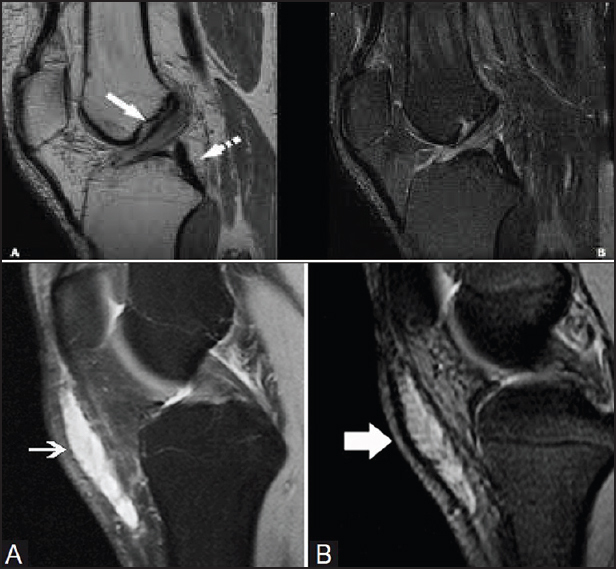 We report a rare case with co-existence of Acute Inflammatory Gouty Arthritis with septic arthritis clinically. A 40 year old male patient with complaints of fever with chills since one month and multiple joint pains. On examination of joints, swelling and redness of the large joints of both lower limbs was present, more in knee joints involving right knee predominantly than left knee and tenderness was present on palpation of both knee joints. Synovial fluid was diagnostic of septic arthritis. Thus our patient was diagnosed to have Septic Arthritis with concomitant Acute Gouty Arthritis and treated accordingly. A wheezing infant is one of the most common case scenarios that a pediatrician encounters in his office practice. 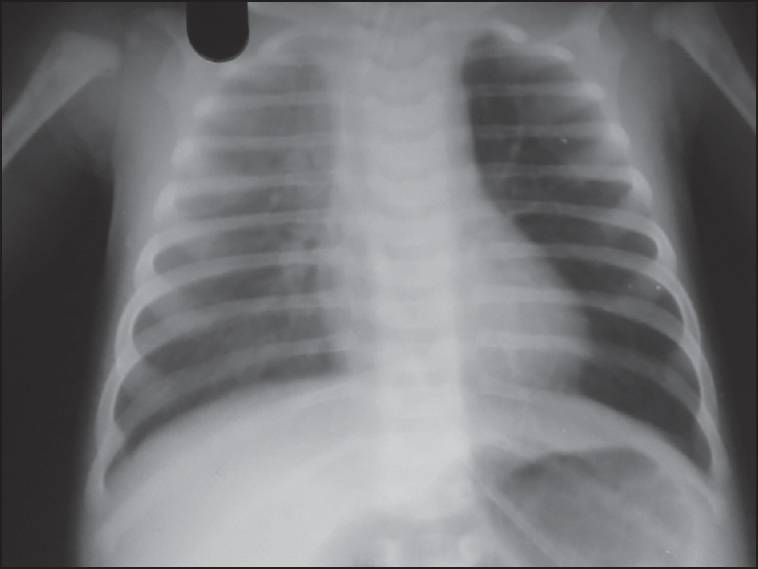 A 3-month-old male child was admitted with persistent wheezing unresponsive to standard management. This prompted us to undertake a detailed diagnostic evaluation including computed tomography chest that revealed the presence of a bronchogenic cyst. The cyst was excised, and the child improved symptomatically. Although uncommon, bronchogenic cysts contribute an important group of lesions, which need to be considered in the differential diagnosis of a wheezing infant. 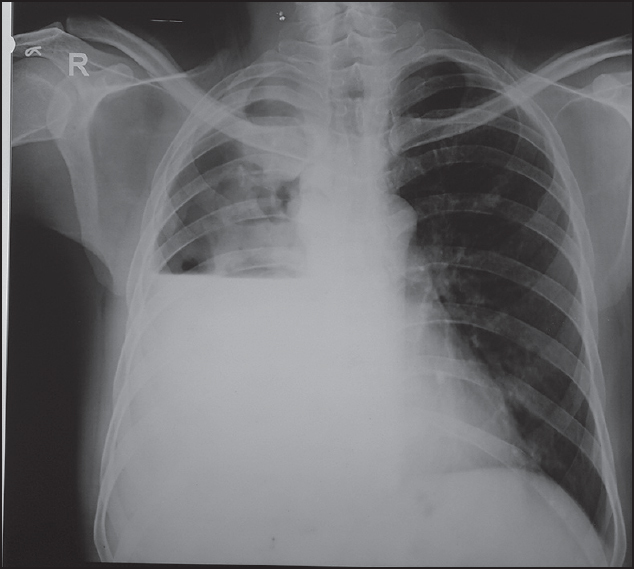 This case report attempts to highlight the importance of considering alternative diagnosis in a wheezing infant when he fails to respond to standard management. Although the adrenal gland is a common site of metastasis from hepatocellular carcinoma (HCC), adrenal metastases usually were detected at the time of diagnosis of primary HCC or simultaneously with intrahepatic recurrence after curative management of HCC. It is very rare that only metastatic HCC is detected without evidence of intrahepatic recurrence. 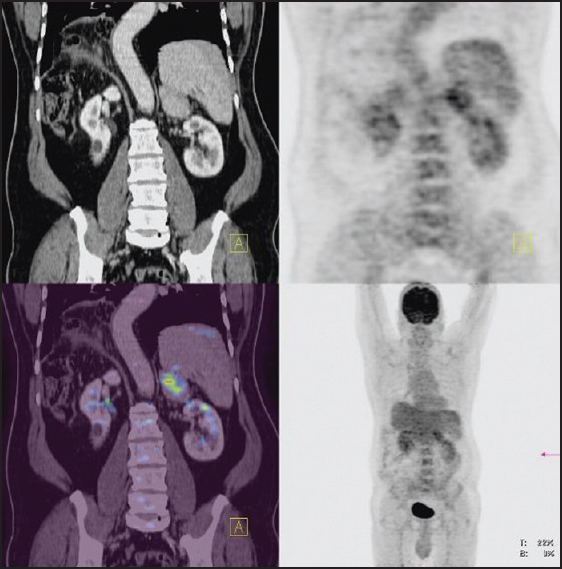 Hereby, we report a rare case of adrenal metastasis from HCC without intrahepatic recurrence after hepatic resection detected with fluorodeoxyglucose positron emission tomography/computed tomography (PET/CT). PET/CT showed intense uptake in the soft tissue metastasis in the left adrenal gland without evidence of intrahepatic recurrence.